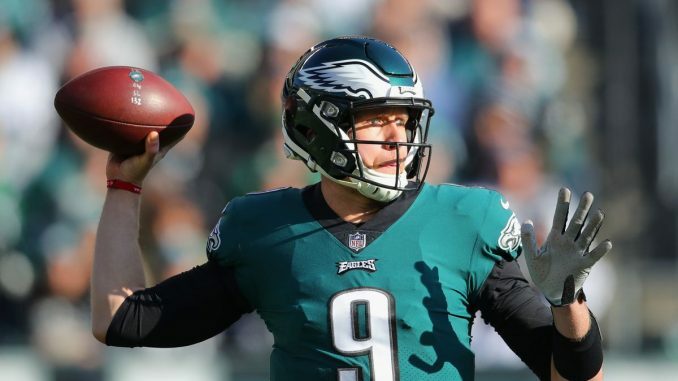 Whilst the Eagles still have the option to franchise tag him, Foles will hope that doesn’t happen so that no team has to trade for him, and as a former Super Bowl MVP, there will be several franchises keen to acquire him, so let’s take a look at them. This one is quite obvious, really. 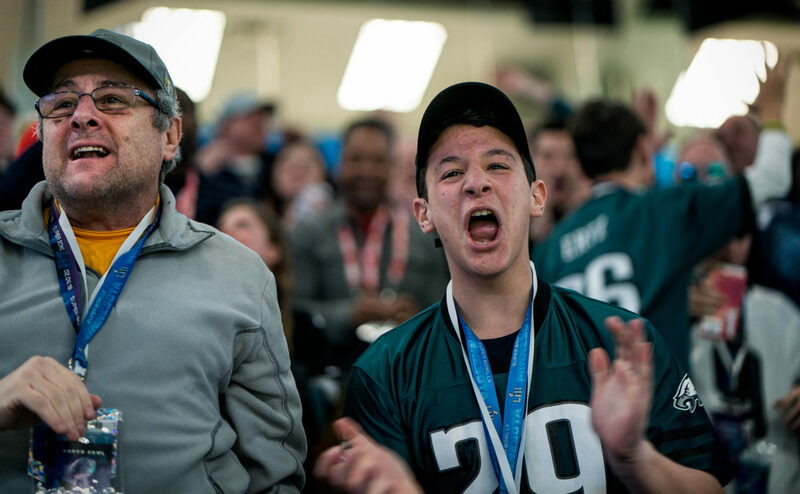 Mike Mayock and Jon Gruden are trying to build a new Raiders franchise from the ground up, and they are big fans of Nick Foles, they have been since early in his career. They’ve been fairly vocal with their praise, too, plus adding a former Super Bowl MVP to their roster before their big move to Las Vegas could be a pretty nice marketing move. I know it’s obvious that the Raiders are in a “build now succeed later” part of their rehabilitation, but Derek Carr knows the offence well, and whilst it would only cost them $7.5m in dead cap money if they trade him away, it might be detrimental to just swap him out, although I’m sure there would be multiple teams (some mentioned below) that would be keen to get their hands on Carr, and we already know that Gruden is willing to trade his stars. One problem the Raiders may have convincing Foles is that they don’t even know where their home is going to be for a while, and an unstable franchise leads to an unstable quarterback. Ryan Tannehill is done in Miami. It’s just there for all to see. They’re clearly looking to move on. Tannehill is good but not great, high floor, low ceiling. It’d be a nice situation for Foles, too; he’d have some decent weapons in the passing game, and maybe with Adam Gase gone, they’d manage to get the most out of Kenyan Drake in the running game. The Dolphins aren’t struggling for cap space either, and after their inevitable offseason cuts, they’ll be in an even better situation. Again, it may be difficult to convince Foles due to the changes in the head office with Brian Flores coming in who, as we know, is a defensive-minded coach, and also hiring a first-time offensive playcaller in Chad O’Shea. There are also rumours of the Miami Dolphins purposely tanking next season in order to secure a higher draft pick, but I’m not entirely sure Brian Flores would be happy with his first head coaching season going that way. But, hey, maybe Foles will fancy the nice weather? This just makes amazing sense. Blake Bortles has just got to go. He’s so bad right now that he’s even making the defence look bad. When they’re on the field for seventy-five percent of the game, they’re destined to get tired and look bad, but if you look at that roster on both sides of the ball? It is solid, they’re just missing a quarterback that doesn’t alternate between average and abysmal from game to game. 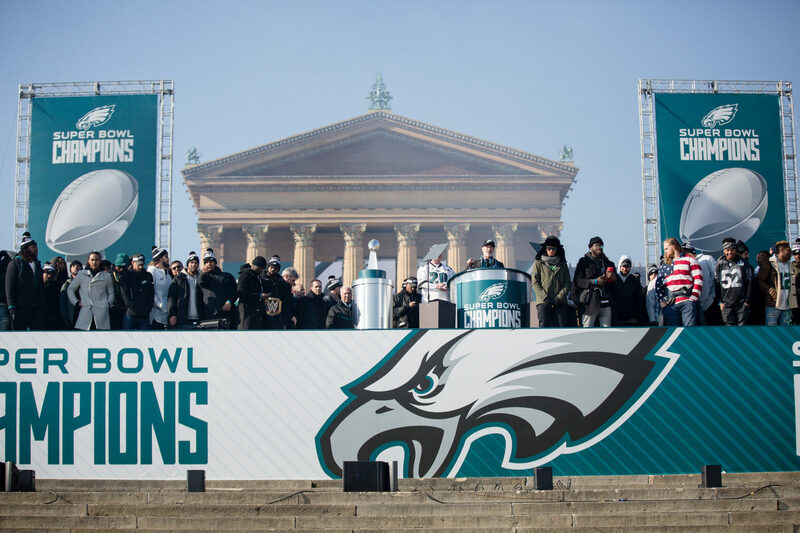 Their only real weakness other than quarterback is their offensive line which is going through a bit of a transition this offseason after having a couple of injuries and some expected departures, but I’d expect them to make moves to shore that up if they’re going after Foles. They’ll also need to invest in a tight end after letting Austin Seferian-Jenkins walk. Something people haven’t really mentioned much is that the Jags’ offensive coordinator, John DeFilippo is close with Foles having worked with him as the quarterback coach in Philadelphia. I know, I know; they’re saying they’re sticking with Eli Manning, but really? Yes, Manning has been a hero there but he’s done. When you’ve got a solid roster of offensive talent in New York such as Odell Beckham Jr. and Saquon Barkley, you really need to take advantage of it, and right now you need a quarterback to bring them back to life. They need to win now, but they don’t seem inclined to. There is risk for the Giants if they do take Foles, though. They could stick with Manning and just ditch him if he’s bad next year and it cost them nothing, and they wouldn’t be able to do that with Foles. They are favoured to get Dwayne Haskins, though, so Foles may not be high on their list. This is an interesting one for me. The Redskins need a quarterback after paying Alex Smith and him going down with a gruesome injury that will likely keep him out for the entirety of the upcoming season. On top of that, Colt McCoy is coming back from a serious injury, too! There’s no getting around it, though; this franchise is absolute garbage. Their roster is a mess, their decisions are perennially terrible, and their roster is possibly the worst in the league, but they have an outstanding offensive line. I think there’s a possibility of him landing here simply because he can be a part of completely rebuilding the Washington Redskins brand, although with Smith taking up so much cap space, it could take years. Zac Taylor is in. An offensive and creative mind who probably won’t want to inherit Andy Dalton. Dalton is average and can be let go and replaced by Foles with relative ease, and Foles is definitely an upgrade. With Joe Mixon in the backfield, plus a true number one target in A.J. Green, the Bengals could be rocking again, and I think this is a move the fans would applaud. Foles could retire. He’s a humble man who has spoken several times about retiring early. He loves time with his family, and he could well just decide to do that. I don’t expect it, but he very well could! Nick Foles: It’s a kind of magic?